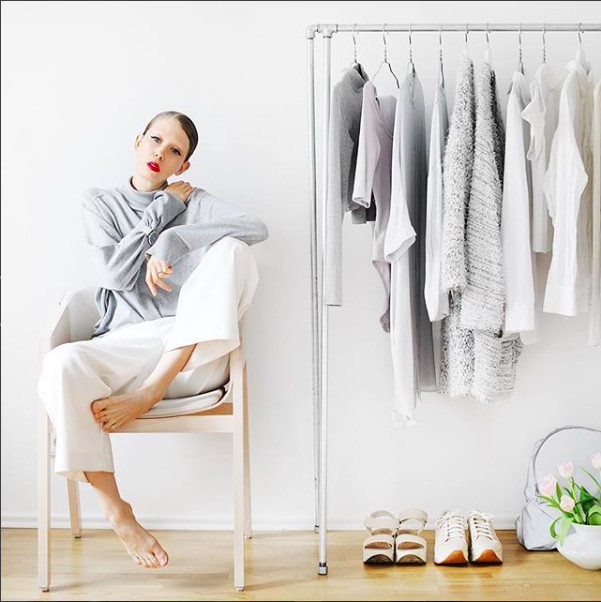 ‘Minimalism’ has become a top buzzword in Western culture recently, thanks to a plethora of books, documentaries, podcasts and articles promoting a ‘minimalist lifestyle.’ However, despite this growing trend, some people believe that in order to become a ‘minimalist,’ you have to own a certain number of items, have a monochromatic wardrobe or sacrifice all the modern conveniences of the world. Other commonly perceived stereotypes about minimalists include living out of a backpack, not owning a car or a television or having an empty house with almost no furniture. While there certainly are people who live this way, minimalism is a state of mind more than a strict set of rules, promoting balance rather than deprivation. I consider myself a minimalist, yet I am someone who loves wearing clothes with loud colors and like everyone else, enjoys the occasional trip to the mall. I am simply more deliberate and thoughtful about the things that I bring into my life. For example, before deciding to buy something, I consider factors like how long an item will last and whether I am drawn to it because it is trendy and cheap or because it genuinely sparks joy. With big fast-fashion brands such as H&M and Forever 21 producing new trendy items every week with dirt-cheap prices, it’s tempting to purchase items just because they are on sale or ‘in style’. This however, is neither sustainable for my wallet nor for the environment. Thus lately, I’ve started doing preliminary research on items that I want to buy and the companies that produced them, things like where the item was made and whether it was produced in a way that is sustainable and good for the environment: was the item manufactured in sweatshops where worker rights are ignored and buildings are on the verge of collapse? Did the company use fabric dyes containing harmful chemicals that would then be discharged into nearby rivers? I decided to adopt a minimalist lifestyle after reading Naomi Klein’s This Changes Everything a few summers ago. In this wonderful book, she stresses that “if we want to live within ecological limits, we would need to return to a lifestyle similar to the one we had in the 1970s, before consumption levels went crazy in the 1980s.” And she’s right: all this talk about oil companies emitting dangerous amounts of carbon dioxide into the air and destroying our planet has somehow distorted the massive impact consumerism has had on the environment too. According to a study entitled “Environmental Impact Assessment of Household Consumption”, what we consume is responsible for almost 60% of global greenhouse gas emissions. By simply choosing to live with less, we can significantly reduce the amount of waste we produce and thus our ecological footprint on the planet. I am aware of the fact that while this may seem daunting and near-impossible to many, what I discovered in my minimalism journey is that it is the opposite of self-sacrifice. Instead, it means valuing yourself more than material things. It means living more mindfully, getting to know your personal tastes and the things that make you truly happy. It means buying quality clothing that can be worn throughout the years instead of being sucked into the ‘fast-fashion’ industry that’s churning out 52 ‘micro-seasons’ per year. Minimalism, at its core, is about being more deliberate about the things you are bringing into your life and seeking the freedom to live without the excess stuff weighing you down. Too often, we think that the only way to save the environment is to become a completely altruistic person, making all these painful sacrifices in our everyday lives. With minimalism, this is not the case at all. Instead, it sets you free. And here is the good news: anyone can become a minimalist.